On November 11, 2014 at approximately 4:32pm, the Galloway Township Police Department responded to an accident on the White Horse Pike involving an overturned vehicle. A 2013 Kia Optima was traveling west bound on the White Horse Pike when it lost control at Breman Ave, left the roadway, struck a utility pole and overturned. The 38 year old driver as well as his two juvenile passengers (ages 9 and 7) were transported to the AtlantiCare Center City Division via ambulance. 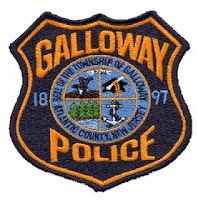 Galloway Township Police stated no further information was available at this time. The accident is currently under investigation by Officer Ronald Gorneau of the Galloway Twp. Police Department.